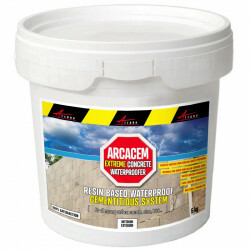 ARCACLEAR PRIMER is an adhesion promoter to be used with Arcaclear resin for all non porous surface (Note: Typical non-porous surfaces are: glass, ceramic or glazed tiles, laminated wood or varnished surfaces), it activates ceramic and glass, terrace tiled surfaces and cures by reaction with ground and air moisture. ARCACLEAR PRIMER for non-porous surfaces is a mono-component transparent adhesion promoter. waterproof coating with long-lasting transparency and elasticity. 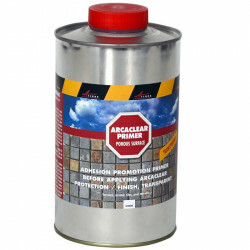 Even after ageing ARCACLEAR will protect your building materials from the elements, water ingress, freezing, pollution and acid rain. This primer will be apply on all non porous surface and will provide the highest adhesion to Arcaclear. Note: Typical non-porous surfaces are glass, ceramic or glazed tiles, laminated wood or varnished surfaces. 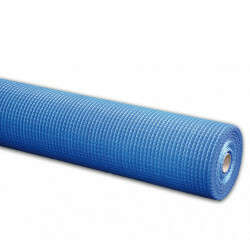 Most other surfaces are porous. 30 - 60 gr/m² (sqm). Arcaclear Primer for non-porous surfaces comes in 1kg packs. 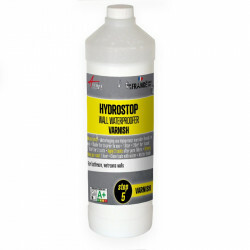 It can be ordered alone or in a kit providing complete TRANSPARENT WATERPROOFING treatment (from priming to finish). The ARCACLEAR system is packaged to treat 5m² (approximately 50 square feet) or 10m2 (approximately 100 square feet) per kit. Four types of kits are available depending on the frequency and quantity of foot traffic to which the surface will be subjected. For best results, the temperature during application should be between 50°C and 35°C and relative humidity should be between 50 and 70%. 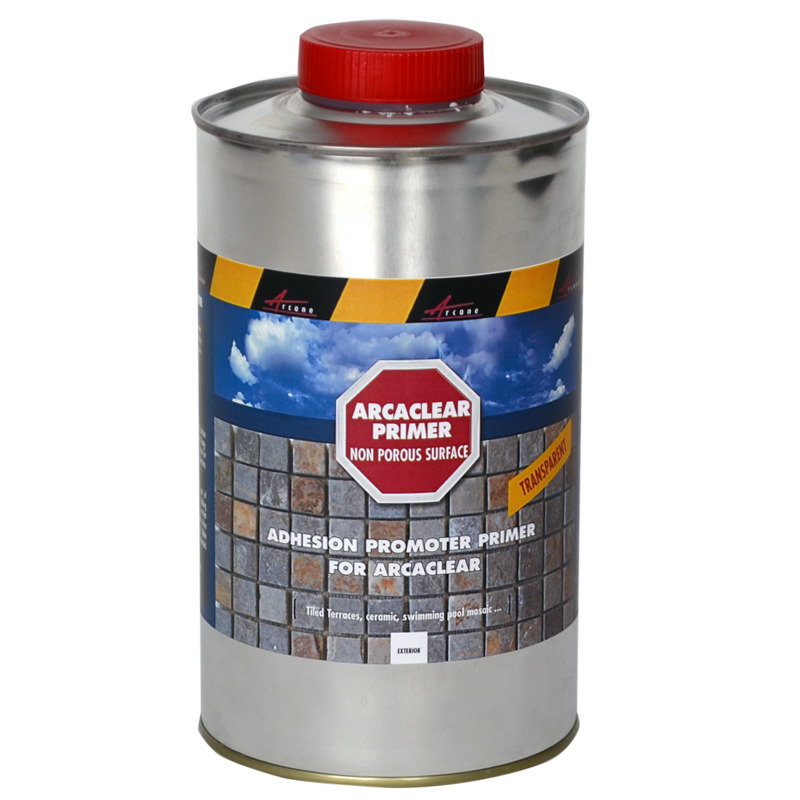 Important: The ARCACLEAR PRIMER will cure well under normal climatic conditions (5-35° C, dry weather). 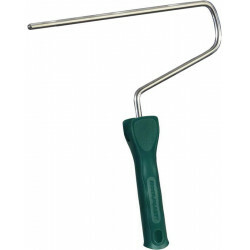 Lower temperatures will slow down curing time and higher temperatures will accelerate the curing time. Optimum performance is achieved by using the right combination of products, surface preparation and application procedures. Careful attention to the preparation of the surface is essential. New concrete must be left to dry at least 28 days before applying the ARCACLEAR system. The careful and thorough repairing of cracks is important to ensure long-lasting waterproofing of the surface. 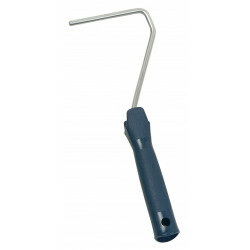 Clean all concrete cracks, hairline cracks, expansion joints etc.of dirt, dust and loose particles. Use a polyurethane mastic to seal. 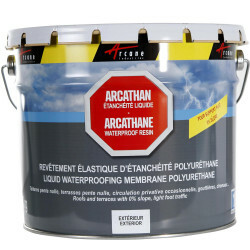 All internal angles must be reinforced with ARCAMESH (embedded between 2 coats of ARCACLEAR). We recommend applying a coat of ARCACLEAR PRIMER before applying ARCACLEAR to obtain optimum adhesion to all surfaces except transparent plastics (polycarbonate, polyacrylate,etc.). 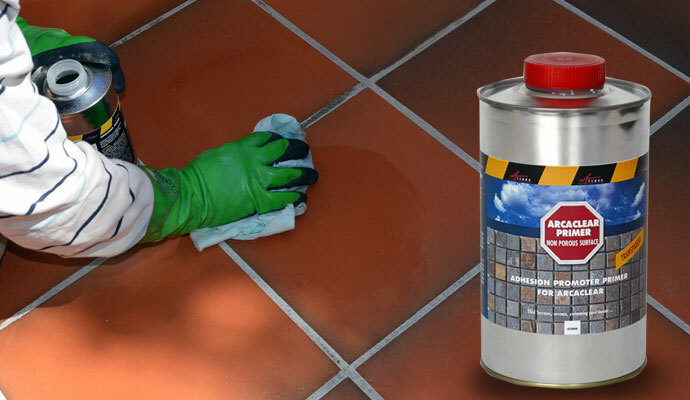 ARCACLEAR PRIMER is obligatory when applying ARCACLEAR to non absorbent glazed surfaces such as ceramic tiles or glass bricks. 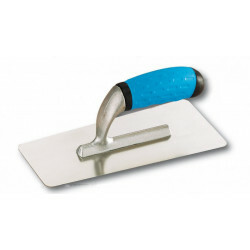 If your surface is porous (screed, cement, concrete, etc. 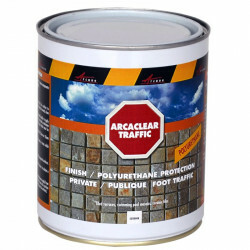 ), you will need ARCACLEAR PRIMER for porous surfaces. Using a dry clean cloth, apply 1 coat of ARCACLEAR PRIMER for non-porous surfaces < 0,100 kg/m², rubbing the product into the surface and making sure that no area is left uncovered. Change cloths often to ensure full degreasing while applying. NOTE: ARCACLEAR PRIMER for non-porous surfaces + ARCACLEAR RESIN are available in kit form, one kit primes and waterproofs a surface area of 5m² or 10m2. Recoatable: 12 hours minimum, 18 hours maximum before applying ARCACLEAR. 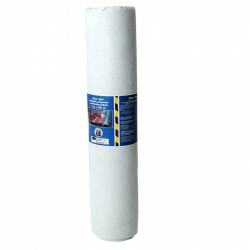 Protect the material against moisture and direct sunlight. Keep 1 year in original unopened packaging.